Today we were able to donate a new land rover in support of conservation work in Kenya, this time to the Mount Kenya Trust, established in 1999 with their mission focused on protecting Mount Kenya. The vehicle handed over by DSWT today was donated to help one of the Mount Kenya Trust’s three anti-poaching teams who patrol the mountain, successfully reducing poaching and other illegal activities. This vehicle will benefit one team that patrols and protects the vital Mount Kenya elephant corridor, enabling elephants from the forests on the north of the mountain to move further north and west to the Ngare Ndare forest, Lewa Wildlife Conservancy, Borana, Samburu and beyond. This team also concentrates efforts on the Northern Slopes of Mount Kenya, haven to abundant wildlife, and the largest remaining contiguous forest in Kenya. Their efforts will extend into Imenti Forest now that they can be mobile, versatile and more effective. 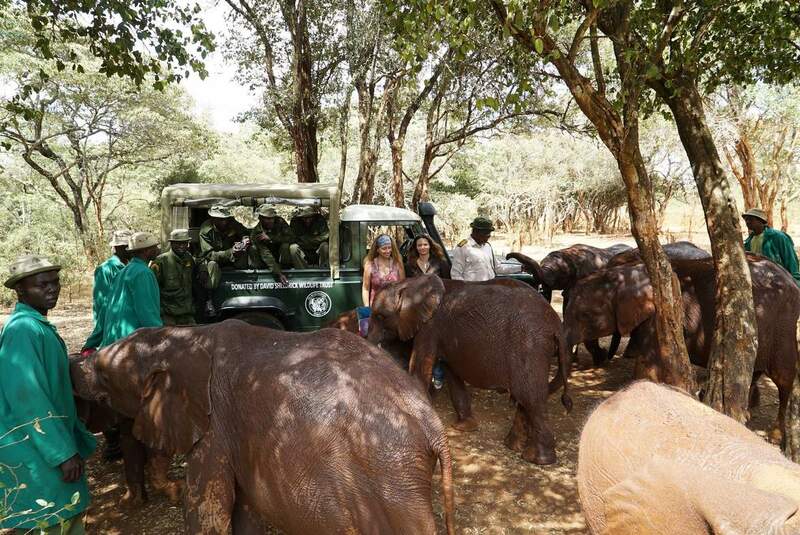 A number of the elephant orphans presently in our care come from beautiful Mount Kenya and these include Kenia, Bongo, Teleki, Sirimon and Embu, with others from Imenti Forest namely Ndume, Wendi, and Kithaka. Straddling the equator and rising to rugged snowy peaks at 5,199m. Beneath the National Park’s peaks and moorlands, the forest zone and National Reserve covers 212,000 hectares. It is our pleasure today to play our part in helping important ecosystems. In 2015 we have donated a new land rover to KWS for security patrols within the Chyulu National Park, another to the Mara Conservancy to help protect a famously unique and extraordinary place, home to the highest concentrations of wildlife in Kenya, and now today supporting the Mount Kenya Trust to better protect Mount Kenya, the 2nd highest mountain in Africa, rich in biodiversity and made a World Heritage Site in 1997.